If you want to master the world of Instagram, hashtags should be your best friend. 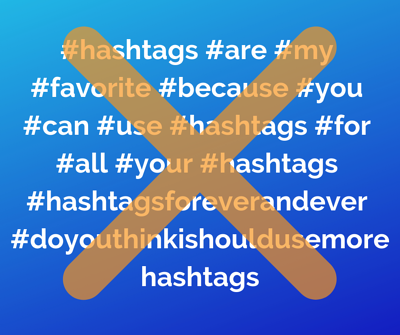 If you and hashtags are more like strangers, or if you’re that friend that’s trying a little too hard, we’re here to help you out. Below, we’ll go over (1) why you should care about Instagram hashtags and (2) how to use hashtags in the most effective way. 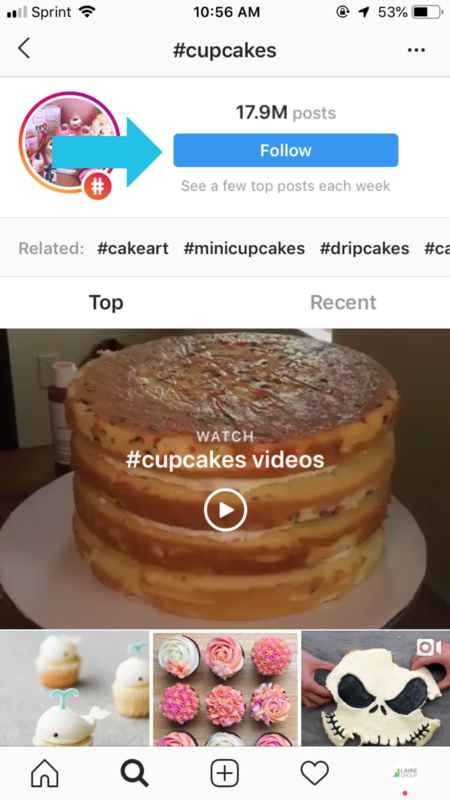 Why should you care about Instagram hashtags? When used correctly, hashtags make your posts discoverable in more ways than ever before, increasing your reach, engagement, and following. If you’re not using hashtags, or if you're not using them in a strategic way, you’re missing out on an entire community of people who LOVE the kind of content you’re creating. You’re also missing an opportunity to express your brand in a dynamic, interactive way. 1. People can follow hashtags now. Now, Instagram users can also follow a hashtag, just like you follow a person or brand. 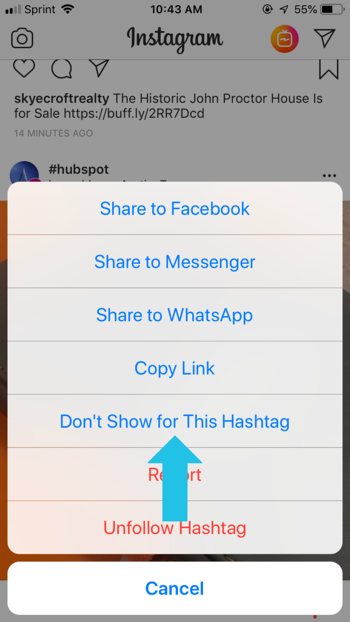 Don’t worry - Instagram won’t show you every single post that uses that hashtag – instead, it will serve only high quality, engaging posts that use the hashtag you followed. What does this mean for your brand? If you post top-notch content and you use relevant hashtags, Instagram may reward you by serving your post to people who don’t follow you. That’s pretty sweet, if you ask us. 2. Hashtags can now be used in Instagram Stories. Most Instagram hashtags now have Stories attached to them. 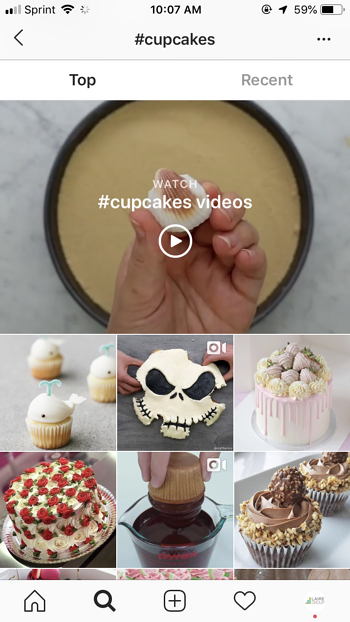 To snag a spot in these hashtag Stories, you can add hashtags to your own Instagram Stories. In fact, you can include up to ten hashtags in your Story! If you want to get really fancy, you can hide some of these hashtags by making them the same color as the background of your story. Instagram will select some of these stories to include in that hashtag’s Instagram Story. According to Statista, over 400 million people use Instagram Stories every day. Now that's an opportunity to connect. 3. Hashtags are functional in your bio. You’re only allowed 150 characters in your Instagram bio. Chances are, you’ve struggled with making the most of this limited space. Instagram allows you to use branded hashtags in your bio to add an interactive way to link to other content about your brand. Are you using hashtags in the most effective way possible? Before racking up all those hashtags, make sure you're being intentional and strategic with your hashtag choices. Just because you can include 30 hashtags in a post, doesn’t mean you should. It’s more important than ever to include hashtags that are relevant to your brand. 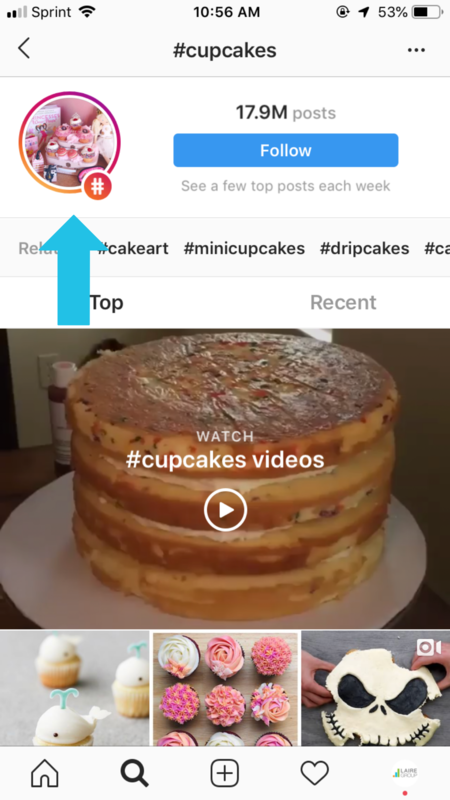 If your post shows up in a user’s feed because they followed a hashtag, they can ask Instagram to no longer show content from your account. This is most likely to happen if your content is not interesting or relevant to that hashtag. If this happens too frequently, it can negatively impact your account’s overall reach. So how do you keep your hashtags relevant and impactful? Do your research. Click the magnifying glass on the bottom of your Instagram screen. Then click in the search bar, and select the "Tags" tab. You can then type in the subject of your instagram post as a keyword, and see the hashtags that use that word. 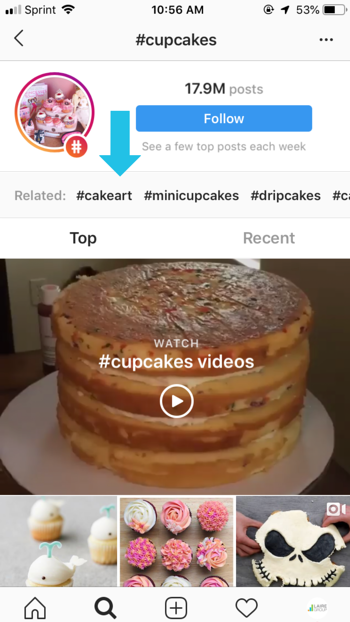 This allows you to see how many posts exist with each hashtag, which can help you select hashtags with the right amount of visibility. We'll get back to this later. 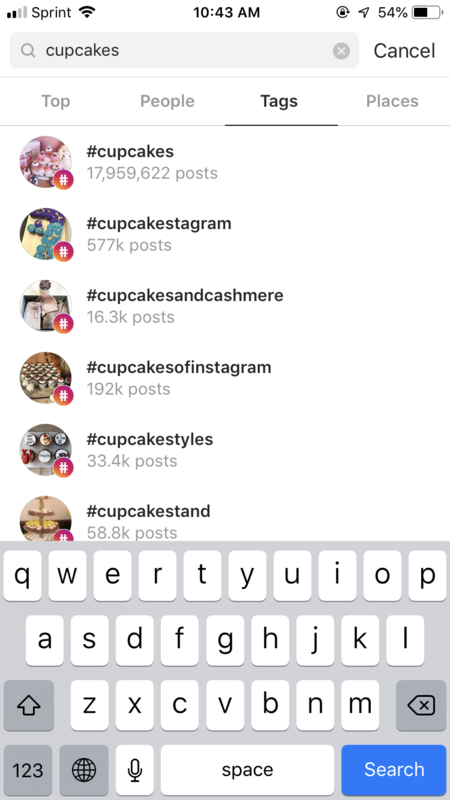 Within Instagram's search tool, you can also find related tags. Just click one of the hashtags you're interested in, and find a list of related hashtags that you can scroll through by swiping left. Before committing to a hashtag, make sure you know what it means. Other brands may have already used your prospective hashtag for a completely unrelated campaign. It could have been used for a social movement or even be attached to a viral internet trend. If the hashtag already has an established meaning on the internet, it's best to steer clear. Also, make sure you look at your hashtag from all angles. Could people misinterpret it to mean something completely inappropriate or off-brand? Research influencers and competitors in your industry. 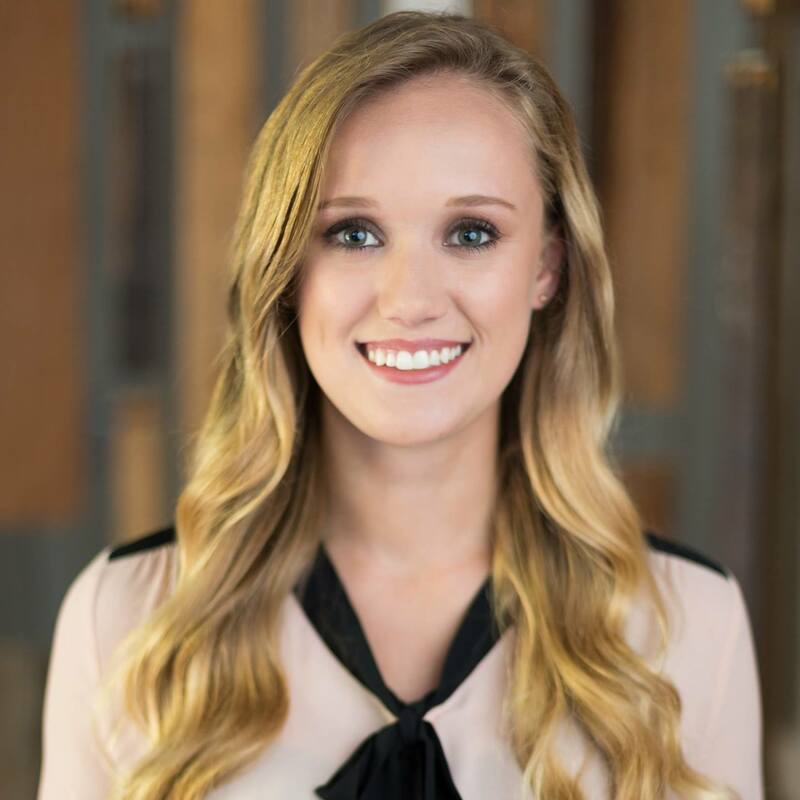 In your industry, who is already killing the social media game? Research industry influencers or competitors with engaged social followings, and check out the hashtags they're using. You could find new hashtags to include in your list! Look at your insights to discover trends. 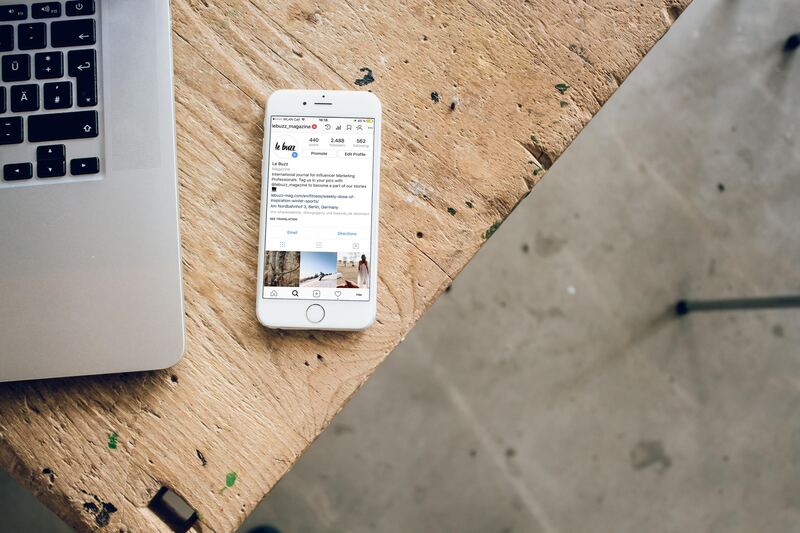 If your account is set up as an Instagram Business profile, you will have access to Insights. Measure the performance of your posts, and pay attention to the hashtags used on your most successful posts. If possible, use some of the hashtags used in your top posts in future posts to boost your engagement and discoverability. 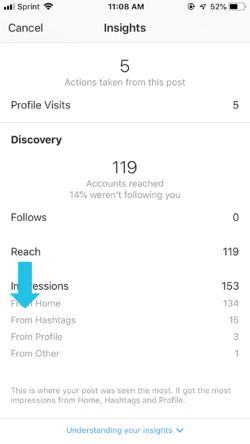 You should always be analyzing your engagement, reach, and impressions, but did you know that Instagram will show you how many times people saw your posts via hashtags? Click on the "View Insights" button below your posts. Scroll down to see how many impressions were garnered from different sources! 2. Include a mix of popular, niche, and branded hashtags. 5-7 extremely popular hashtags, or hashtags with 100,000 to 500,000 posts associated with them. Avoid using hashtags with over 500,000 posts, as your content has a minimal chance of landing at the top of these enormous hashtag collections. In these archives, posts get buried within moments of being published. Hashtags with over 500,000 posts also invite bot activity, and no one wants a robot commenting on their posts. 5-7 moderately popular hashtags, or hashtags with 10,000 to 100,000 posts associated with them. 3-5 niche-specific hashtags, or hashtags with fewer than 10,000 posts associated with them. These hashtags may have less overall activity, but the audience associated with them is highly targeted, and will generate engagement from people truly interested in your business. 1-3 branded hashtags. These are hashtags you create specifically for your brand. Branded hashtags can be used for campaigns, to introduce new products, to spark conversation at events, or to encourage user generated content. 3. Don’t clutter your caption. 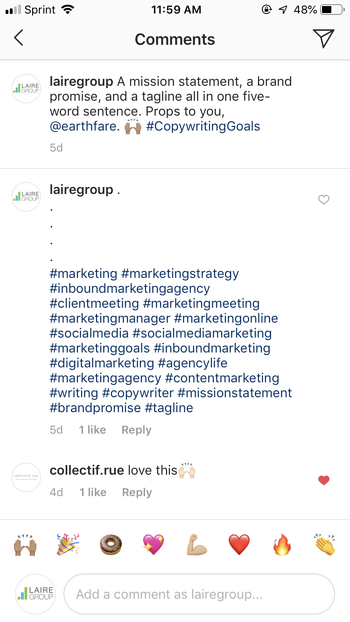 Don't include a long list of hashtags in your caption - this appears spammy, and it drives attention away from that intriguing caption you wrote. Instead, hide your hashtags. Post your photo and caption with only one or two hashtags. We recommend including your branded hashtags in the caption. Click the speech bubble below your published post to write a comment. Then, type five dots, pressing enter between each one. Then, paste or type your hashtags. Boom! Now users will only be able to see your hashtags if they click "view all comments." 4. Tailor your hashtags to each post. Instagram favors accounts that are authentic and valuable to users. To avoid being perceived as spammy, make sure to always include hashtags that are specific to each post. It's okay to have a foundational set of hashtags that are relevant to your brand, but if each of your posts has a specific message (they should! ), your hashtags should reflect that. We recommend saving your list of go-to hashtags for different types of content in an app on your phone, like the Notes app. This way, you can copy and paste that list, and add to or revise it, depending on your post's message. When it comes down to it, it's all about making sure every hashtag you choose has a purpose. It can be easy to throw 30 "cool" or "funny" hashtags on a post, but with this (lack of) strategy, you won't get the results you want. Instead, be best friends with hashtags. Understand them, choose them carefully, and don't abuse them.